Molds in general require only very basic things to grow; water and very minimal light. Black mold is a term usually used to describe, greenish-black substance that can be found in various places inside the house. While many will generally see them as harmless eyesores, this infamous mold also known as Strachybotrys chartarum or Strachybotrys atra has been closely linked to fatalities in babies as a result respiratory bleeding due to exposure or inhalation. It’s also been considered by many experts to be a contributing factor in the development of asthma and bronchitis in adults. Virtually, any home will have one or two types of mold present, and while not all of them are harmful, it’s best that you treat them as you would any potential threat for the sake of practicality. Mold spores are easily transported from one part of the house to another as they can stick to various hosts including people and animals or can float around until they land on a suitable place to thrive and grow in. Molds in general require only very basic things to grow; water and very minimal light. In fact, molds have been known to grow in dark places for as long as there is water or if the place is humid enough. Considering that there are many such places in the house with those conditions it will always pay to check from time to time. Some of the problem prone areas would include; the basement, bathroom, kitchen, the attic, under the pipes, ducts and even walls that are exposed to sun and rain. 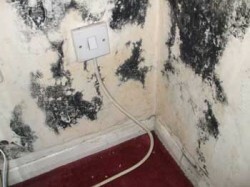 Preventing black mold from invading your home is not impossible, nor is it difficult. It just requires basic knowledge on how to eliminate and control the elements that will allow them to manifest. By treating affected areas before it spreads, keeping humidity within the house in close check and getting any leaky pipes fixed you will be able to effectively keep mold (black or otherwise) at bay. What’s mentioned above are just the barest of what you will need to know, if you really want to be effective in dealing and preventing molds, check out more in-depth articles from other sites as well.